Geuine old school K.S.M. 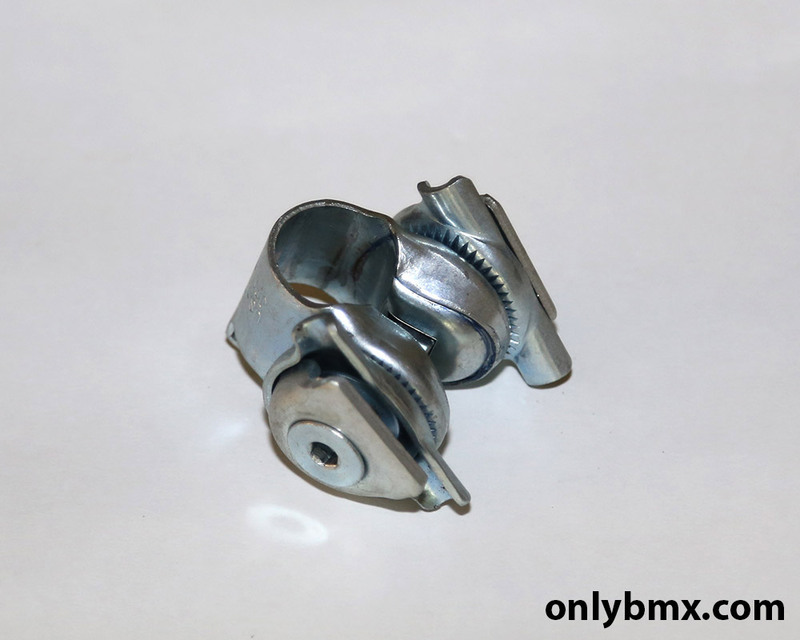 seat guts with the allen key style clamp. 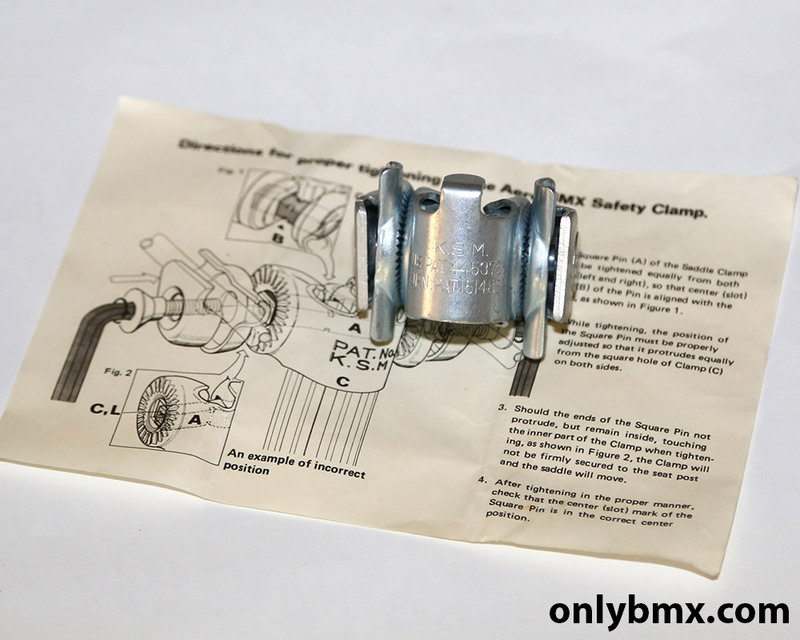 The so called Aero seat guts as shown in the original instructions included with the BMX seat guts. 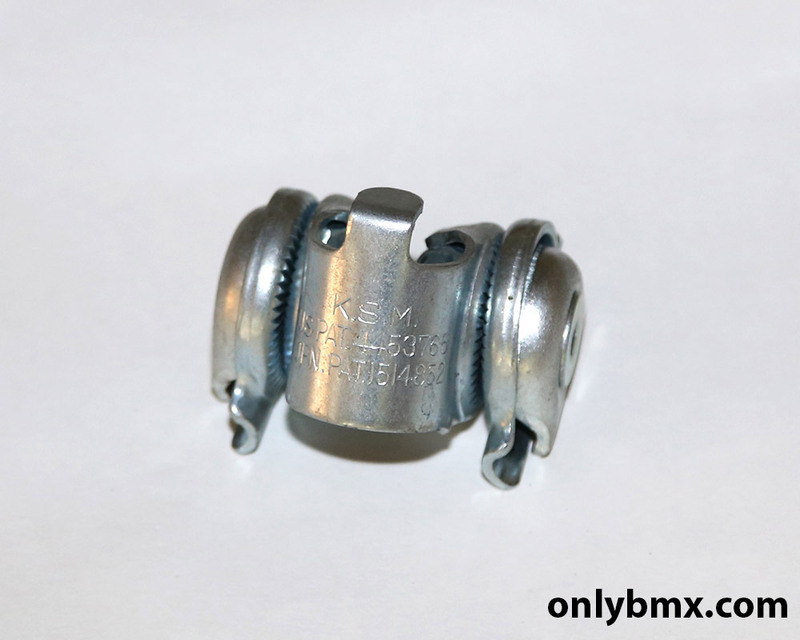 KSM was the brand stamping used by Kashimax for their BMX seats or saddles. 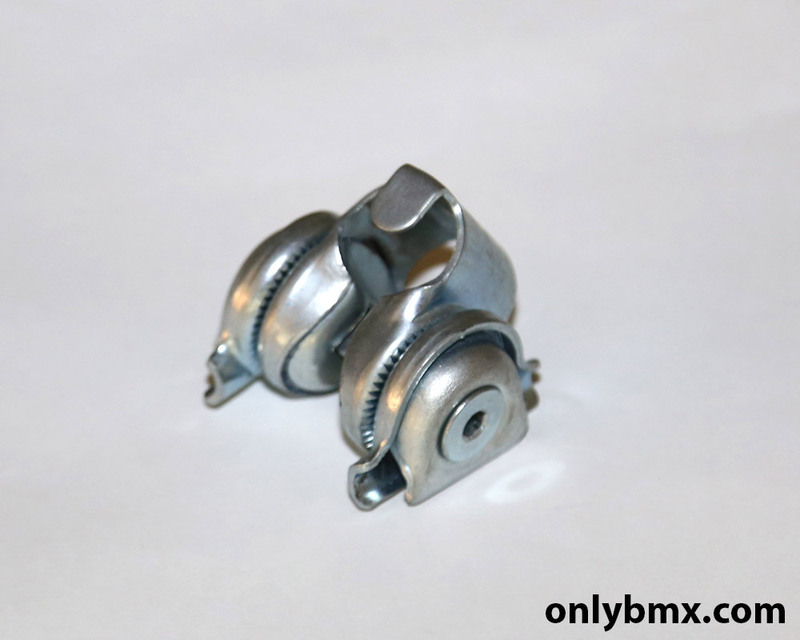 This style was often found in the Kashimax Aero seats. 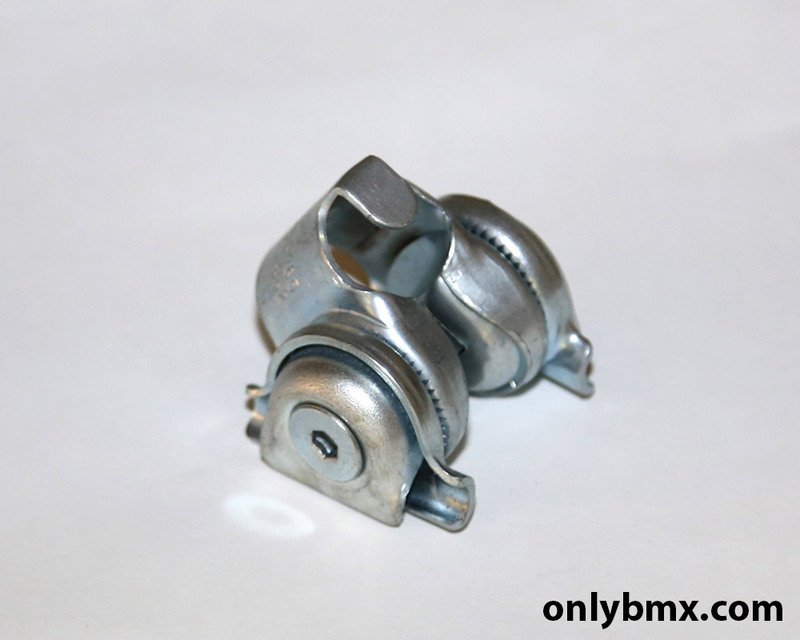 This original finish item is a genuine old school BMX part and NOT a recent reproduction.